A drugmaker has been found guilty of tricking consumers into buying pricier versions of a drug by claiming they treated specific kinds of pain. 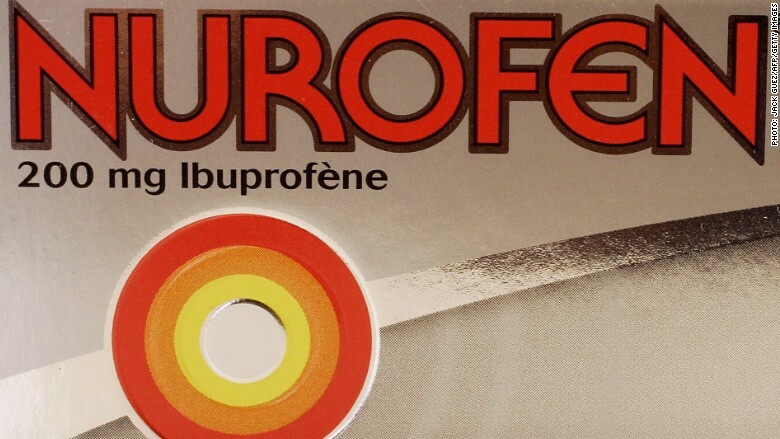 A court in Australia said Reckitt Benckiser (RBGLY) had misled consumers by labeling versions of Nurofen as if they were formulated to reduce particular pains, such as migraine or period pain, when in fact they were identical to each other. They all included the same active ingredient, which cannot target specific pains in the body. In a statement, the company said it "accepted" its packaging and website "were likely to have misled consumers." The Australian Competition and Consumer Commission, which brought the case, said pills such as Nurofen Back Pain and Nurofen Migraine Pain were sold at almost twice the price of the drug's comparable standard version and other general pain relief products. Nurofen is the brand name for Ibuprofen -- an anti-inflammatory drug -- in Europe, Australia, South Africa and other countries. Ibuprofen is sold in the U.S. under brand names such as Advil, Cadolor or Tabalon. The Australian regulator said it was concerned that consumers may have purchased these products in the belief that they treated a certain type of pain, based on the packaging. The court ordered Reckitt Benckiser to remove the targeted versions of Nurofen from stores in Australia. The company has three months to comply. The court will consider fining the company at a later hearing. Reckitt Benckiser defended the packaging, saying it was meant to help patients choose pain relief, particularly in a "grocery environment" where there are no healthcare professionals to provide guidance. The company is also facing a separate investigation by the U.K. Advertising Standards Authority, which is looking into claims that Nurofen Express delivers faster pain relief. It sells for nearly twice the price of the standard Nurofen product.